Pilsner-y Lager-ish. Pilsner-y because I'm using West Branch Pale (2.8L) instead of their Pilsner (1.5L) trying for that extra bit of color (4°SRM) and flavor without specialty malts. Lager-ish because this is for my warm, pressurized lager method experiment. Time will tell! I brewed a English Golden Ale and an American Wheat yesterday. Hit all the numbers and didn't have any problems come up. It was a pretty perfect day. Everything was happily bubbling away this morning. On top of that, I think the Spring thaw may finally be here. Des Moines has racked up 18.5" of snow above our normal average. Most of it in February. It's raining and thawing today and I'm ready for Spring. 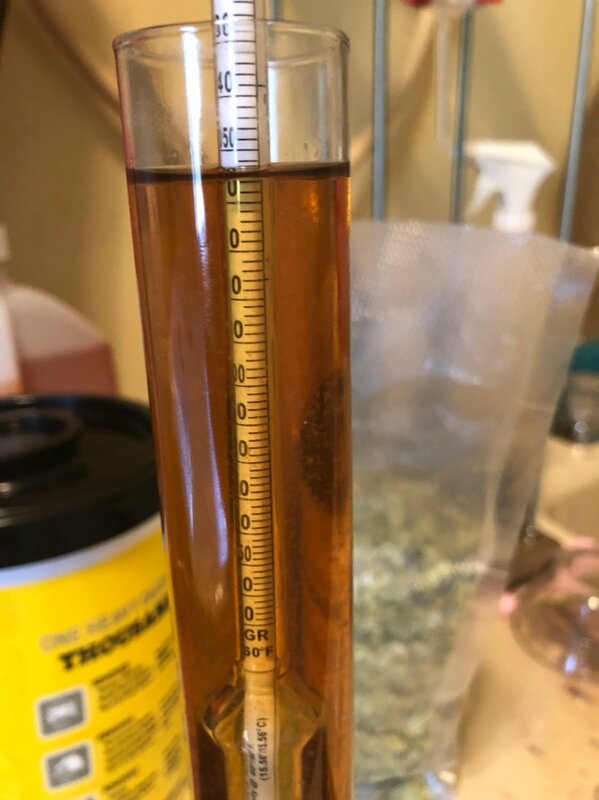 Just finished brewing a California Common: c40 & Northern Brewer, of course, but also used Irish Ale malt (mostly to use it up, but also to see if it gives a bit more flavor). Just finished my ‘PawPaw’s Beantown Lager’ brewday. 2nd gen Imperial Harvest yeast SnS starter. Last of my winter lagers. 50% Pilsner/50% Vienna, all malt grown right here in lovely Aroostook County, Maine. Nice looking clear wort. I’m going to try to get an IPA in this weekend. A modern, American Pilsner. Local Ohio malt, with Cascade and Willamette. Brewing one of my favorite everyday drinking beers. Kolsch! Just put number in the fermenter since AL made Homebrew legal. ...but of course nothin to see here. Just good ole boys watching football and eatin BBQ.